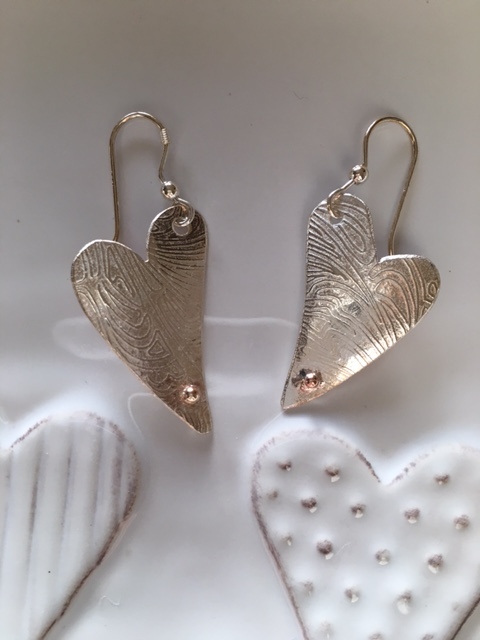 A pair of handmade sterling silver heart dangles which have been shaped to gently face towards the chin. Each heart has been textured and features a tiny gold nugget near its tip. Each earring measures approximately 5cm in length including the ear wire and is 2cm width.